Living with limited mobility doesn’t mean that you have to move out of your home. There are affordable tools available that can be easily installed in any house and allow you to overcome obstacles. Residential vertical platform lifts have been specially engineered to help transport you and your mobility device among the levels of your home. 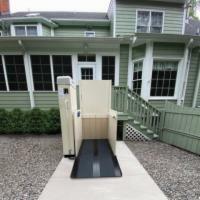 If you are reliant on a wheelchair or mobility scooter to get around, you can simply drive onto the platform and use the controls to raise or lower the lift. Installation is surprisingly easy and our prices are the absolute lowest on the market. 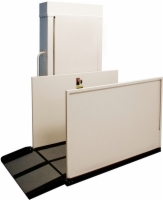 Visit AmeriGlide of Marietta, Georgia, to get started on your vertical platform lift installation project and increase your mobility and independence for less.